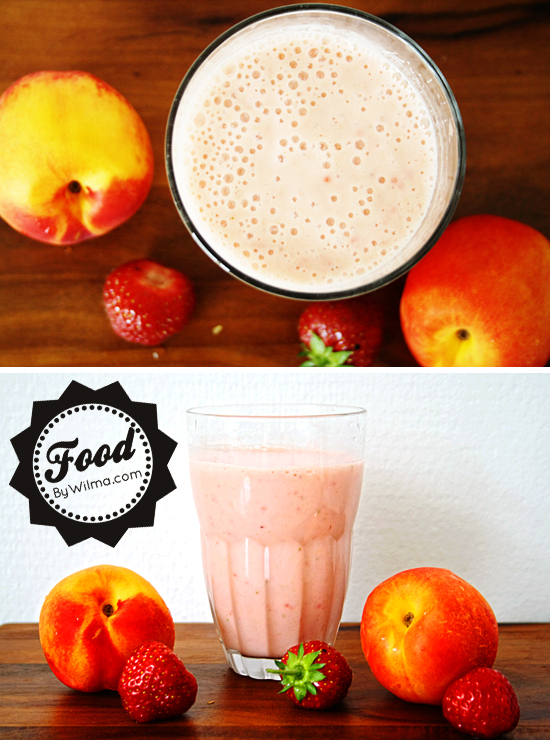 Learn how to make a nectarine, banana and strawberry smoothie after the jump. . . Put all the ingredients into a blender and mix until your smoothie is smooth. Poor in two longdrink glasses.